Here at Mahjong Time, we are always dedicated to providing the best Online Mahjong experience for our players. Player feedback is greatly appreciated by Mahjong Time, as we constantly change and improve our services. Recently, we have been working hard to improve in ways you, the players, have suggested. 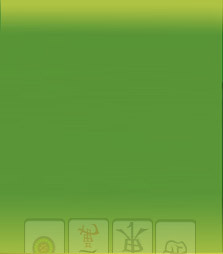 Those improvements have all been combined together to make the most recent Mahjong Time upgrade, just released. Users will have the ability to replace all of their flowers/seasons before the game starts (right after distribution). Each player will have 10 seconds to decide which flowers/seasons to replace or keep in their hand before the game begins. The ability to replace or discard flowers/seasons during the game still remains. No difference between flowers in AM game. Any flower can be replaced with a Joker defined as another flower. The Charleston now works faster, especially when playing with a bot. You are now able to sort tiles manually within your rack. The discards in AM and HK games are now not sorted by players, but are placed on the table in random order. The game now runs faster and smoother on all computers. Players have the ability to choose whether or not they want to see the discards on the table during game play. This is a personal setting named "Discards on the Table" available in the Settings window. Your feedback is greatly appreciated by Mahjong Time. Please continue to voice your opinions and send us your thoughts about the game!